Black Cowboys explores a culture that has been largely written out of history, but is still thriving today all over the United States. 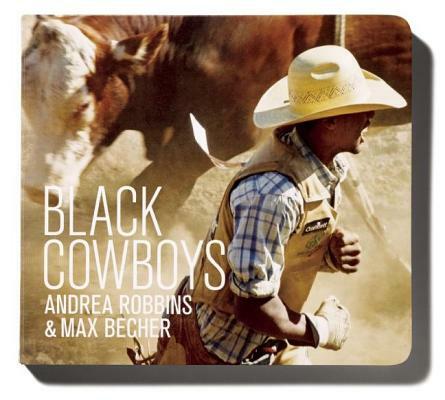 In the photographs of Andrea Robbins and Max Becher, children will visit rodeos, trail rides, and meet many different Black Cowboys and Cowgirls. The engaging photographs will appeal to even the youngest of children, while the subject matter will encourage further thought and discussion in older readers. Kyla Ryman has a masters in early childhood education from Bank Street College. She is an advocate of organic learning for children and embraces thinking, playing, and creating as the building blocks for learning. She lives in Brooklyn, NY. Max Becher and Andrea Robbins are internationally recognized photographers living in New York City. Their work is in museum collections around the world, includes the Solomon R. Guggenheim Museum, The Jewish Museum, the Whitney Museum of American Art, and the Barcelona Museum of Contemporary Art. They live in New York City.